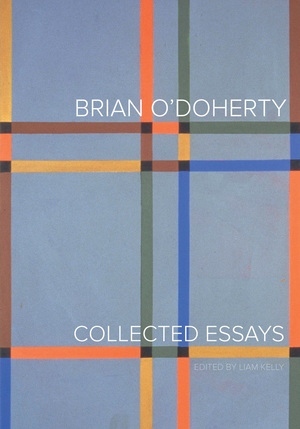 This long-awaited volume brings together much of Brian O’Doherty’s most influential writing, including essays on major figures such as Edward Hopper, Mark Rothko, and Andy Warhol, and a substantial follow-up to his iconic Inside the White Cube. New pieces specifically authored for this collection include a meditation on O’Doherty’s various alternate personae—most notably Patrick Ireland—and a reflection on his seminal “Highway to Las Vegas” from 1972, penned after a return visit in 2012. The beautifully written texts, many of which have been unavailable in print, are insightfully introduced by art historian Anne-Marie Bonnet and complemented by forty-five color illustrations of artwork discussed in the essays as well as documentary photographs of O’Doherty and other major art-world figures. Adventurous, original, and essentially O’Doherty, this collection reveals his provocative charm and enduring influence as a public intellectual. Brian O’Doherty is an acclaimed artist and writer. Formerly an art critic for the New York Times and editor in chief of Art in America, he has lectured widely in Europe and America. He is the author of many essays and several books, including the renowned critical essay Inside the White Cube: The Ideology of the Gallery Space, first published in 1976. O’Doherty is a recipient of the prestigious Clark Prize for Excellence in Arts Writing and the College Art Association's Mather Award for Criticism. His novel The Deposition of Father McGreevy was shortlisted for the Man Booker Prize in 2000. Liam Kelly is Professor of Irish Visual Culture at the School of Art, University of Ulster, Belfast. His publications include Thinking Long: Contemporary Art in the North of Ireland and Art and the Disembodied Eye: Collective Histories of Northern Irish Art. Anne-Marie Bonnet is Professor and Director of the Institute of Art History, Friedrich-Wilhelms University, Bonn.